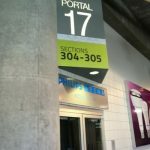 Sponsorship and branding opportunities exist for businesses at stadiums, arenas, and coliseums all over the world. 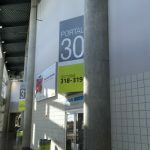 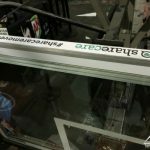 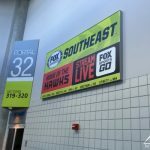 And each year thousands of sign companies set out to make sure that those sponsors are well recognized and established at their venues of choice. 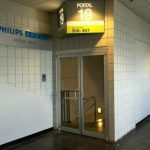 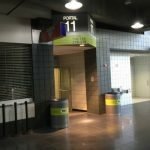 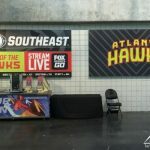 Pinnacle has the opportunity to work with a few of these facilities but absolutely loves our opportunity to work with the Atlanta Hawks at Phillips Arena. 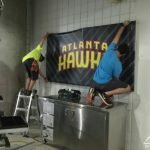 Two years ago, Stephen Conklin was contacted by Atlanta Hawks to do a few last-minute updates to the facility. 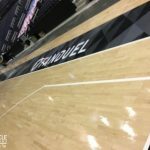 Pinnacle’s ability to get the job done quickly, efficiently, and correctly opened the door to a now established relationship between the two organizations. 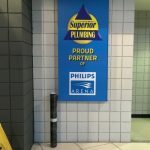 That is why when Arpan Patel and Aman Milner contacted us a few weeks ago to handle the promotional signage for this years upcoming sponsors, we made sure to handle it in the same manner. 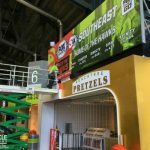 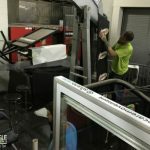 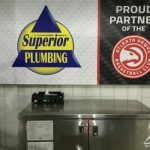 The Hawks needed us to install signs for not only the team’s branding but also for corporate sponsors Marco’s Pizza, Chick-Fil-A, Superior Plumbing and Fox Sports Southeast around the arena. 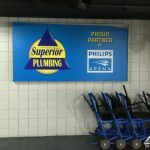 Each sponsor has the opportunity to incorporate their logo and brand messaging in multiple areas around the facility. 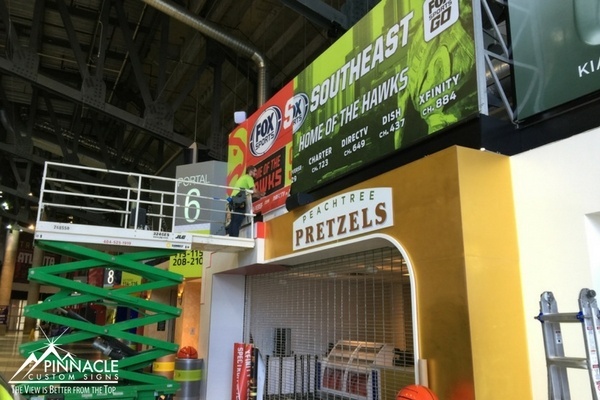 However, getting them all up can be a logistical challenge when working with multiple brands. 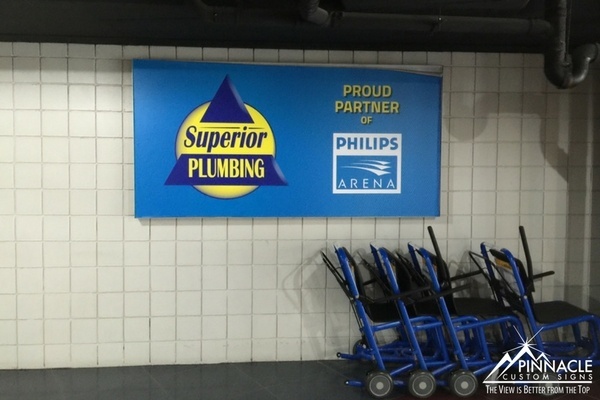 So Pinnacle sets out to create separate branding messages but as a single point of installation for the team. 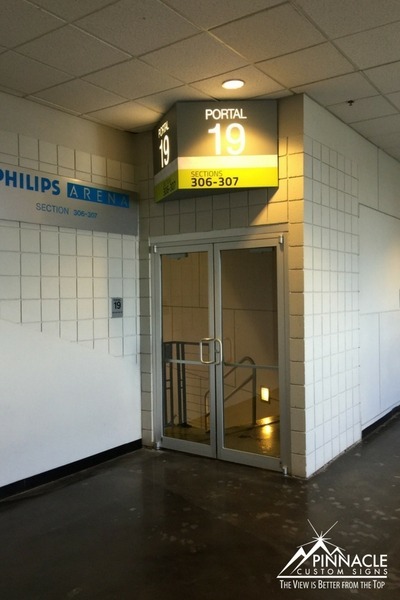 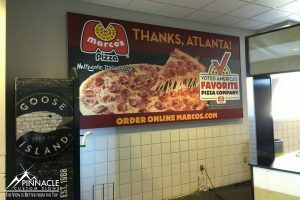 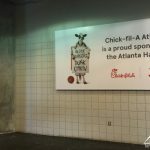 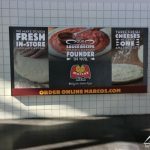 Marco’s Pizza and Chick-fil-a are one of a number of companies which uses aluminum frame systems and vinyl graphics to advertise to the crowds at basketball games, corporate events, concerts and any other type of event where people will be walking through the concourse at Philips Arena. 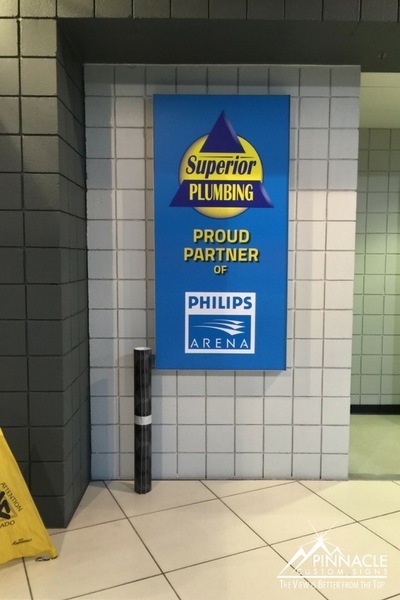 Each restaurant needed two 6 x 12 frames updated with messaging for Philips. 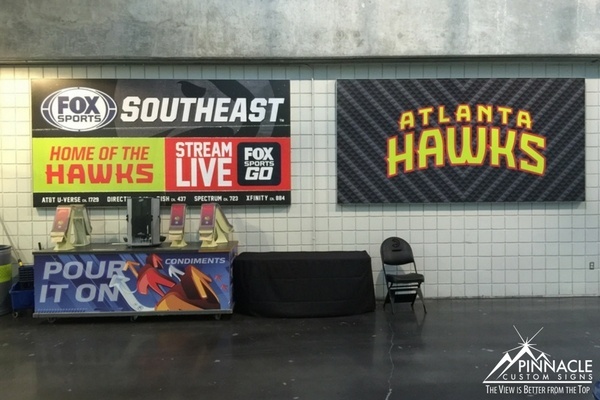 Fox Sports Southeast is a large sponsor for the Atlanta Hawks and has the rights to brand in multiple areas. 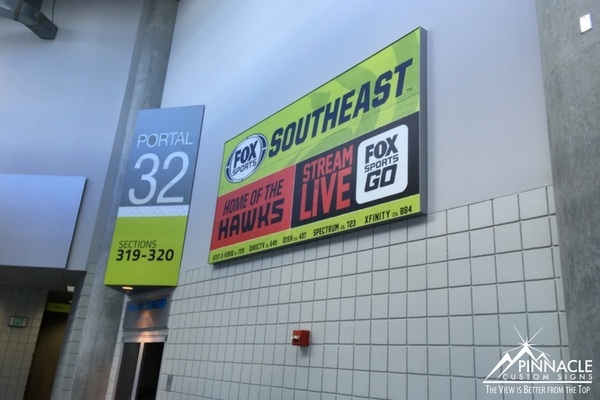 Pinnacle was provided orders for graphics for five 6 x 12 signs, an 8 x 8, 4 x 8, and large graphic for the Hawk Walk. 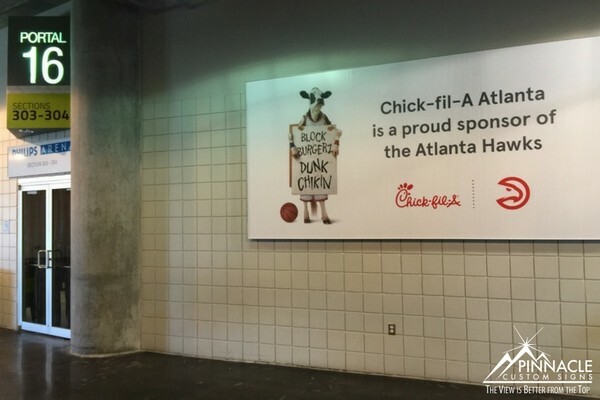 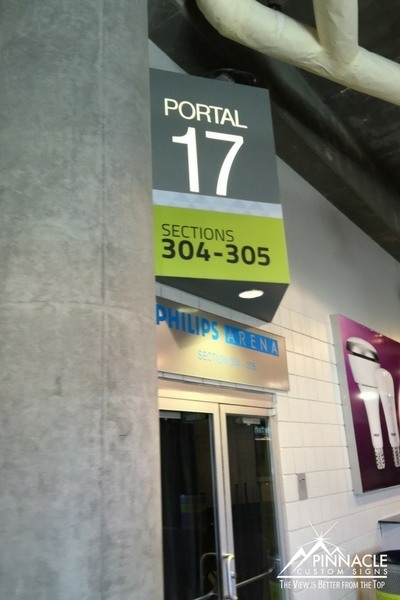 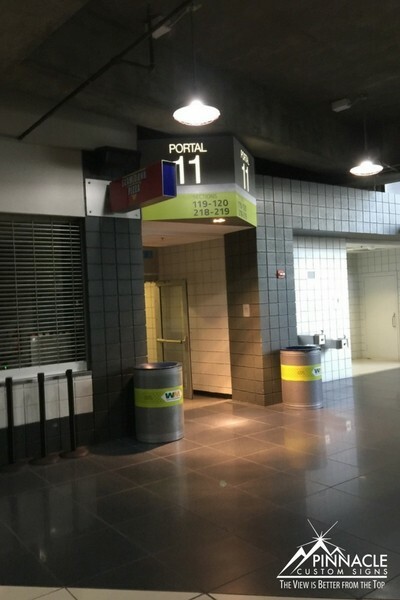 Graphics were updated this year to include images of the city of Atlanta an the arena itself. 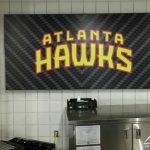 Finally, the Atlanta Hawks refurbished the goal pads this year and needed them re-wrapped with the Kia sponsor decals. 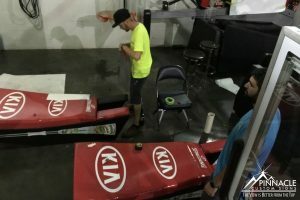 Pinnacle has the capability to print the vinyl front Kia Red with all of the logos and then transport the decals to the arena to wrap them on site. 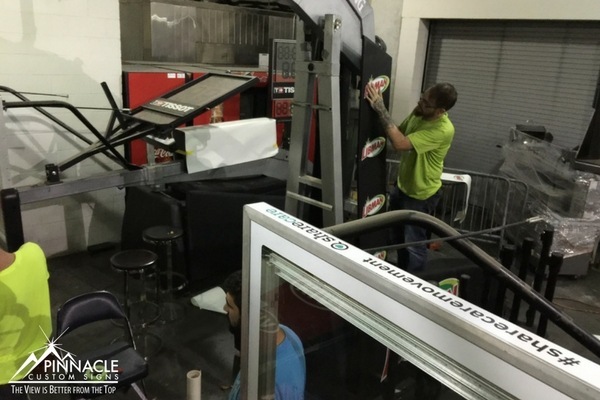 The sides of the goal pads needed to include Libman graphics that would be produced with removable vinyl. 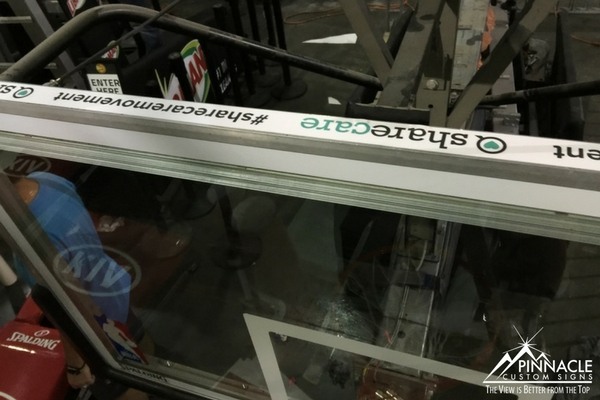 This makes them easy to change out and allows for less possible damage from adhesive to the pads in the future. 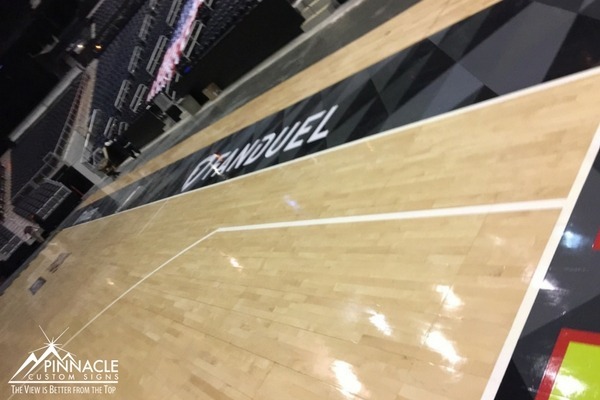 In addition to the goal pads, we were asked to produce Fan Duel logos to place on the court. 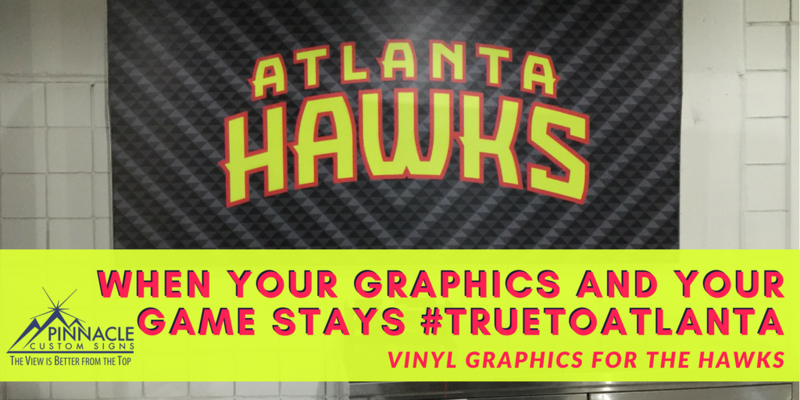 These graphics are used as part of Fan Duels large sponsorship which is displayed on TV for all games, except when the game is nationally televised. 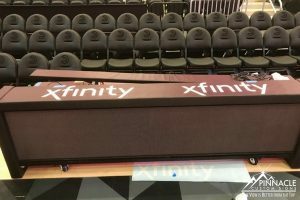 Vinyl Xfinity logos were added the scorer’s table at the facility. 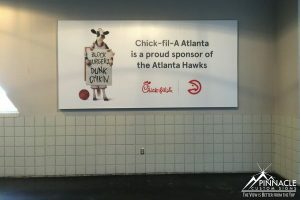 We also installed generic graphics with the text Atlanta Hawk that is being used as temporary fillers until a new sponsor comes on board and utilizes the space for branding. 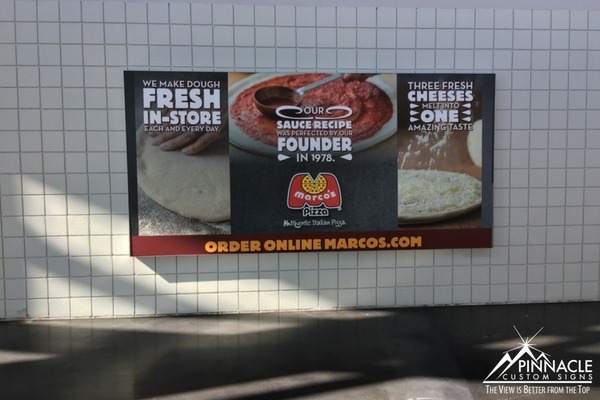 We often face challenges with any vinyl installation project but this one was challenging because of the volume of various colors, logos, and sizes. 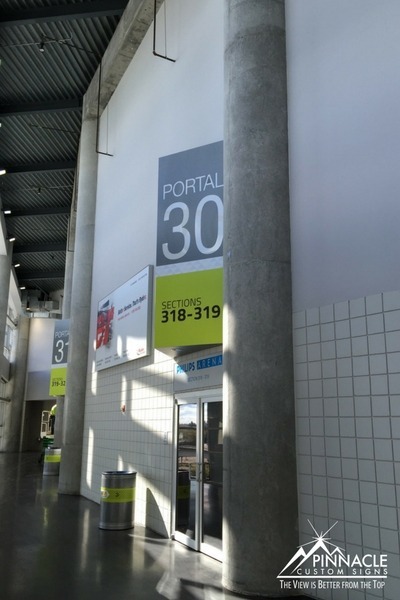 We are fortunate to have a single point of contact that coordinated the various parts to this project. 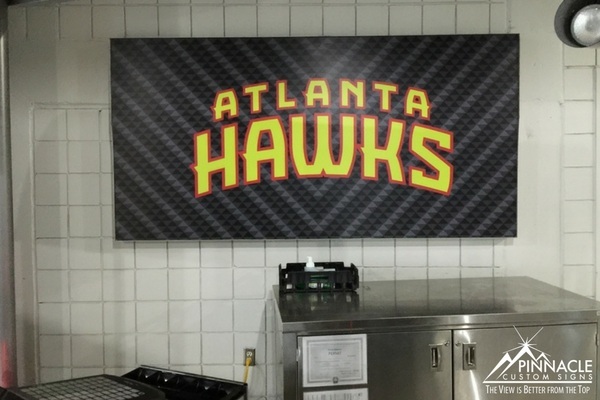 Being able to get in the arena and install all the different graphics at one time makes a project like this much easier. 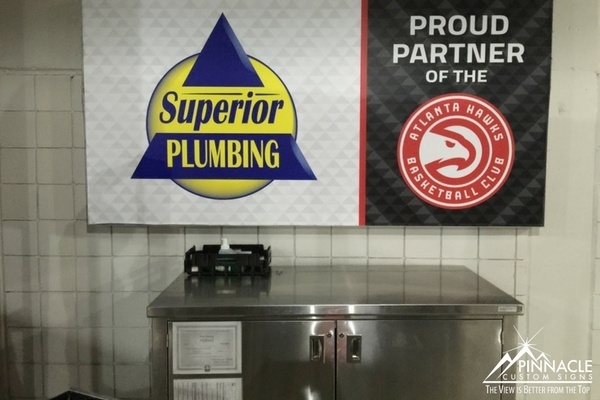 Pinnacle is blessed to be able to have such diverse business relationships with phenomenal organizations like the Atlanta Hawks but we appreciate our relationships with the small local businesses we work with as well. 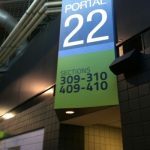 It is why we still offer complimentary consultations to clients daily. 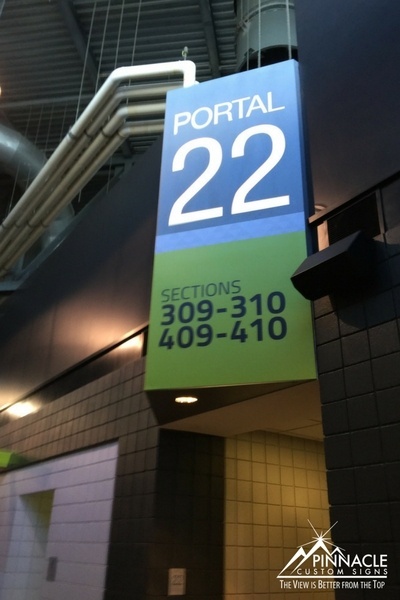 We know that our area of expertise can often help take you to the next level. 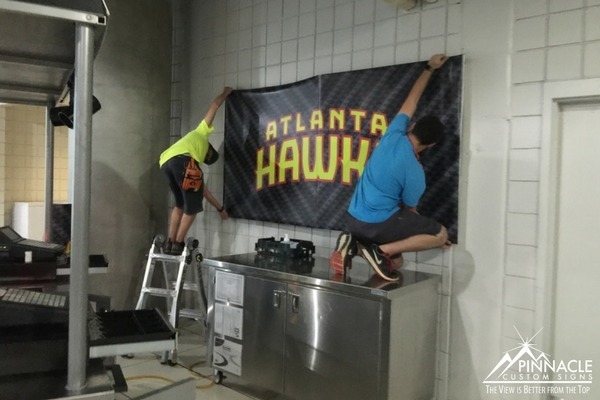 We do our best to stay #TruetoAtlanta no matter how large we grow.